I decided my Goog hat is lost for good, so I went out to find a new one. I’m not completely happy with this one, but it’s pretty cool. 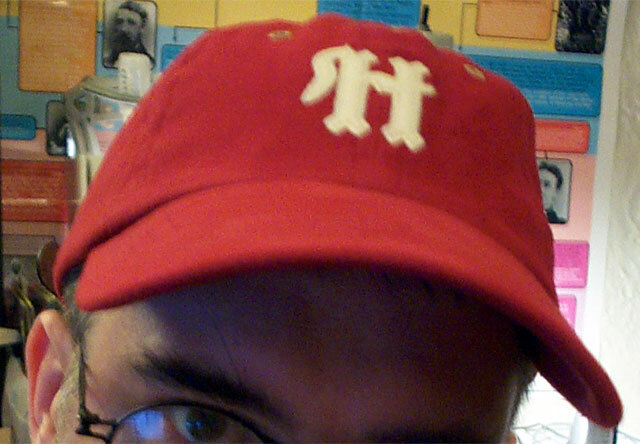 It’s a replica of a 1960 Havana Lions cap. Since I married a Cuban I think I can get away with it. But geez, don’t try to talk baseball with me. That’s quite a happening hat you have there, fella.